As an entrepreneur, the way you run your business can make or break your startup. Understanding and applying good business management practices are crucial to your success. When you properly manage your people, operations, and even finances, you’ll be able to steer your company in the right direction. In the long run, displaying excellent management practices can give your business an outstanding reputation. This can boost your brand’s relevance and your sales as well. 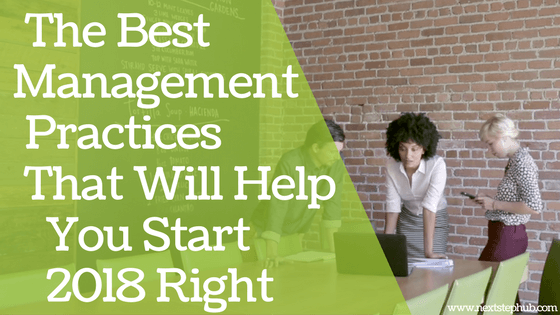 To help you kick-start your 2018, we gathered the best business management habits that will transform you and your business. When your employees understand your company’s culture, goals, and vision, they will have direction and purpose. The whole team will be on the same page, which can eventually boost everyone’s productivity and efficiency. Simply put, they’ll be better team players. The key is to share a clear sense of the company’s culture and delegation of responsibilities. This way, they will continue to work to fulfill the organization’s goals. It’s also best to hire people who share your core values. This strategy will help you avoid misunderstandings and conflicts in the workplace. Recent studies show that happiness makes people more productive at work. Satisfied employees excel in decision making and time management. So how can you make your team happy? Employee engagement promotes a happy workplace. Engaged team members are passionate about their work because they are 100% committed. Keep in mind that you should identify and give their needs, too. Provide decent wages and benefits. Build rules and regulations that will protect them from discrimination, bullying, and harassment. Grant them the freedom to solve problems on their own, and always recognize their efforts. It’s also vital to ask for their feedback. Conduct surveys or polls, so you can improve the quality of your workplace. Entrepreneurship is a bumpy and challenging path. There are many obstacles along the way, so you should always do your best to avoid the risks or reduce their effects. The first step is to identify the possible risks your business might face, such as natural disasters or employees suddenly leaving. Imagine yourself in different scenarios so you can build solid plans and prepare for these challenges. Protecting your innovation is highly recommended as well. In this digital age, anyone can easily copy your ideas and claim it as their own. If you can, secure a patent. This gives you the legal right to stop others from copying or selling your company’s invention without your permission. Automating your business can help you save time, money, and labor. It eliminates redundant tasks, which streamlines the workflow process. It increases optimization and centralizes data as well. There are many tools that can aid in automating your business, such as MailChimp, Slack, and Buffer. Pro tip: Are you looking for the best tools that can help you automate and manage your projects? Check out our ultimate list of project management tools and productivity tools. Meetings are beneficial for both leaders and employees. It lets everyone review their progress and identify major issues. It’s recommended to hold separate meetings for tactical and strategic business planning. Encourage your employees to share their suggestions and ideas. You can use mind mapping tools to help them clarify their solutions and collaborate with the rest of the team. 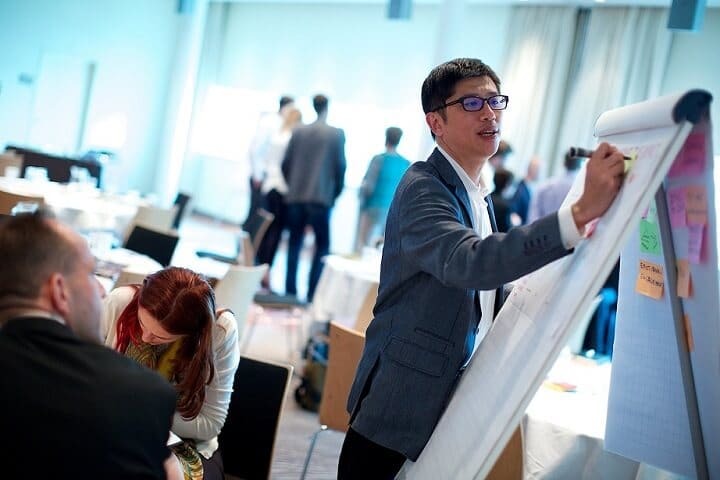 Great talent fuels innovation, which can keep your business relevant and attract new customers. This is why you should help your team enhance their skills and knowledge. Give them opportunities to grow by providing extra training, seminars, and workshops. If you don’t have enough budget, you can look for helpful blogs or free courses online. Print the materials and distribute them to your team, then hold special meetings where you can discuss the topic with them. In addition, make sure to give consistent feedback. This will help them understand the skills they need to improve. Jack Ma, the founder of Alibaba, believes that his company became successful because he wasn’t afraid to hire people who are smarter than him. Working with employees who have better skills than you will contribute to your company’s success, and to your personal growth as well. Keep in mind that being an effective manager doesn’t mean you have to be the smartest person in the room. You must be willing to listen to other people’s ideas and suggestions. As a manager, your state of mind and actions shape the atmosphere of your company. Because of this, it’s important that you develop effective leadership skills. To be a rockstar leader, you must have a positive mindset, creativity, transparency, flexibility, and empathy. 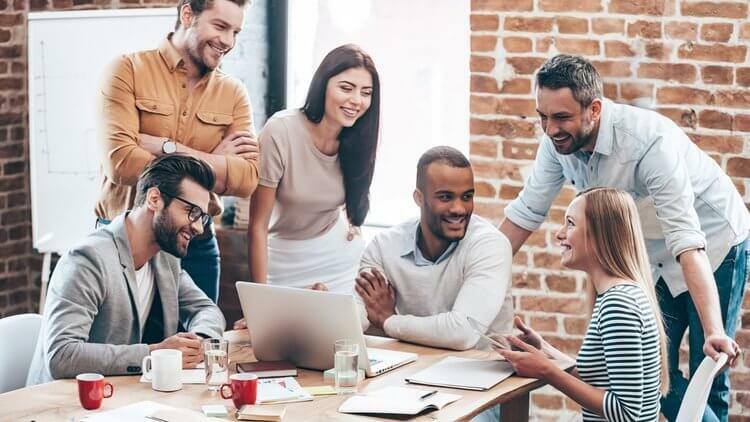 These essential traits can bring out the best in your people and let you handle tough situations. Also, remember to always practice what you preach. When your team sees you working hard, they’ll be motivated to do the same. Good business management practices position you to act as an effective leader. So continue to hone these skills and you’ll see the positive impact in no time. How are you planning to improve your management skills? Share it with us below.